Adding a sport trim is a tricky thing. It is easy to set yourself up for criticism. If the changes amount to little more than an appearance package and engineering tweaks to coax more from the powertrain, the brand’s definition of sport can be diluted. 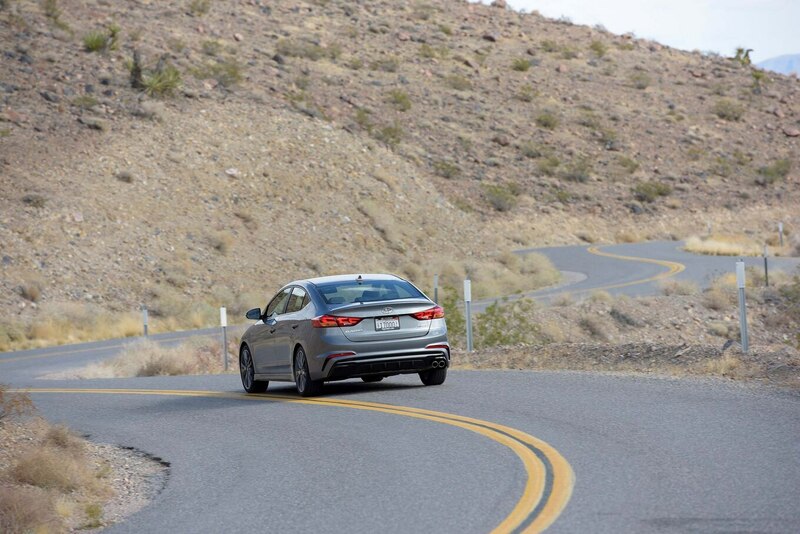 And if you go big in an effort to make the variant stand out, it opens the automaker up to comparisons with the best in the field, regardless of whether they are warranted. 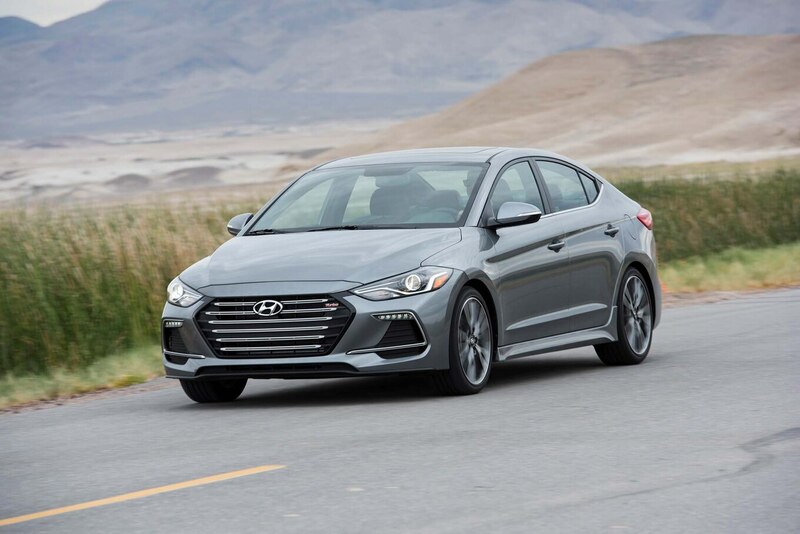 The 2017 Hyundai Elantra Sport is treading into this potential minefield as it makes its way from Korea to U.S. dealers. 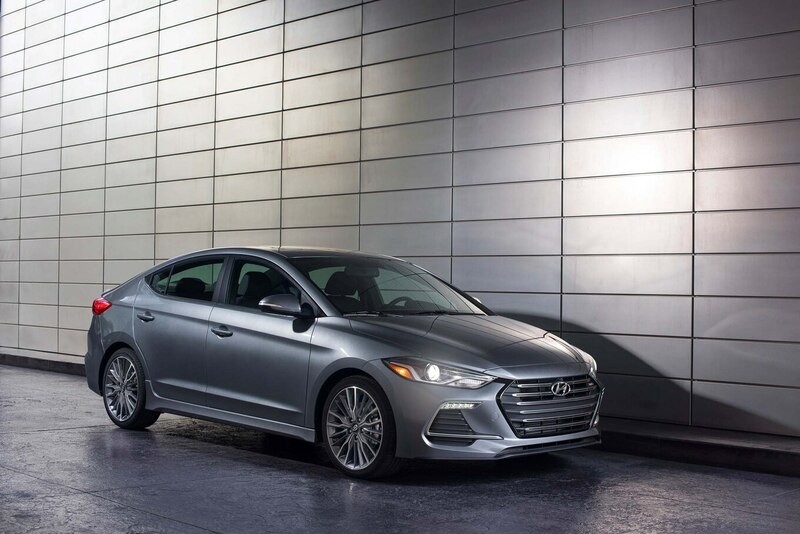 The current-generation Elantra launched in January with a 2.0-liter four-cylinder engine. 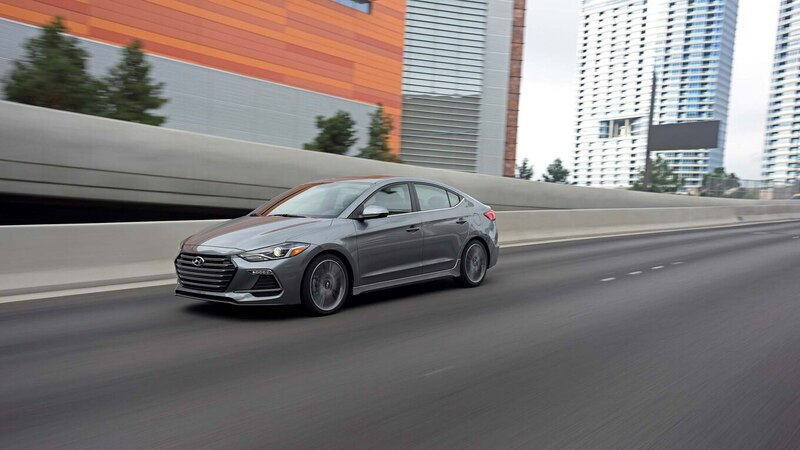 The Eco followed in February with a 128-horsepower 1.4-liter turbocharged engine that that gets 40 mpg on the highway. 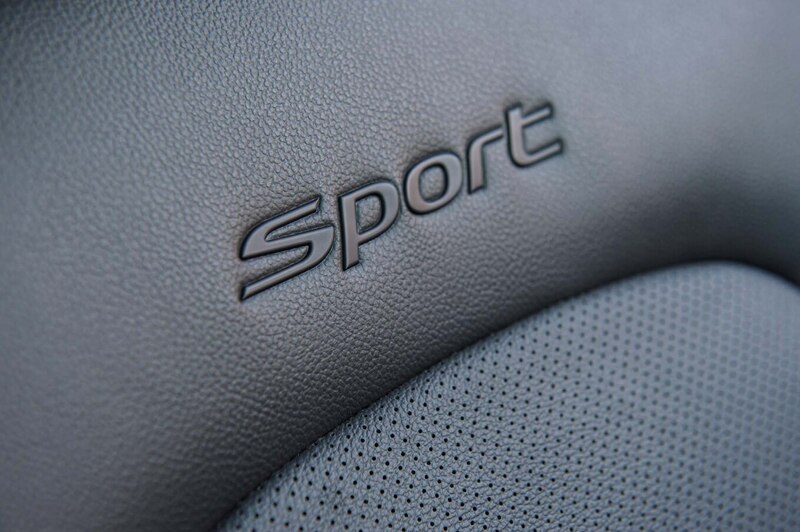 The new Sport slots between the Eco and the top-of-the-line Limited. 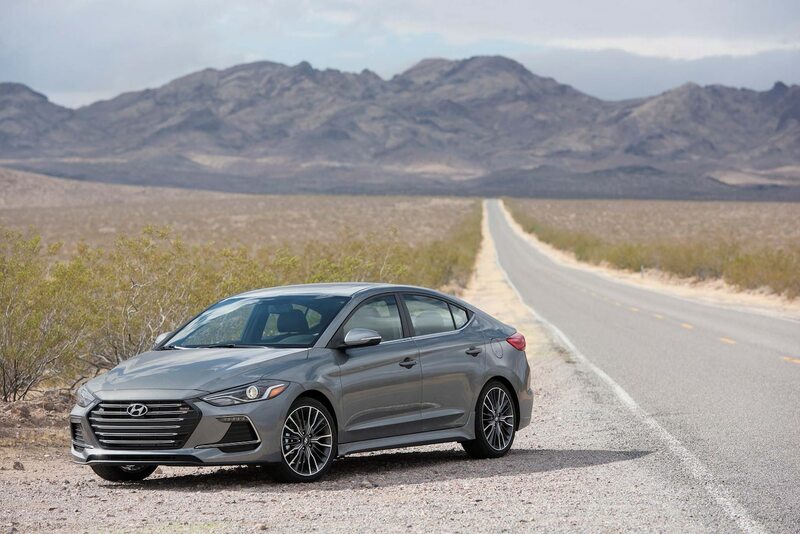 In the past, Hyundai fell into the mild upgrade camp because the Sport was largely an appearance package. But in 2015, the automaker hired Albert Biermann from BMW’s M performance division to install new processes and ways of looking at vehicle dynamics. By making Sport models live up to their name, he’s making them a warm-up for the launch of Hyundai’s sports car sub-brand, which will be named N for Namyang after the Korean R & D center and proving ground. 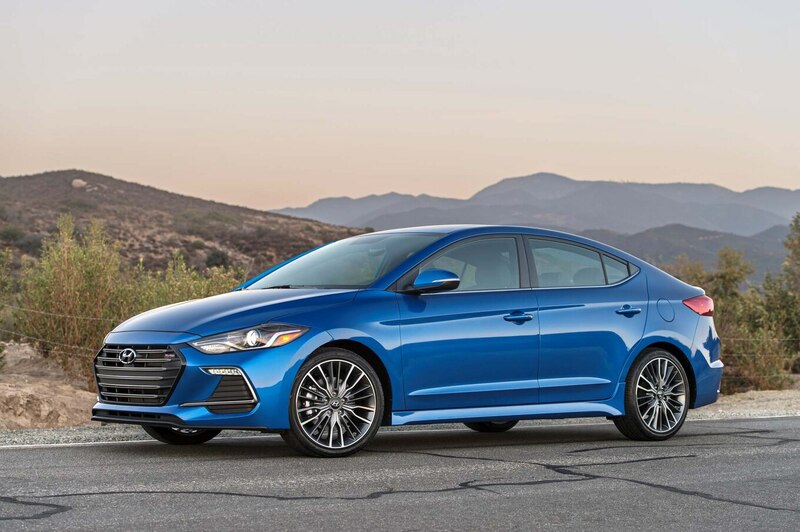 N will make its debut in 2018 starting with a completely overhauled and reinvented Veloster. 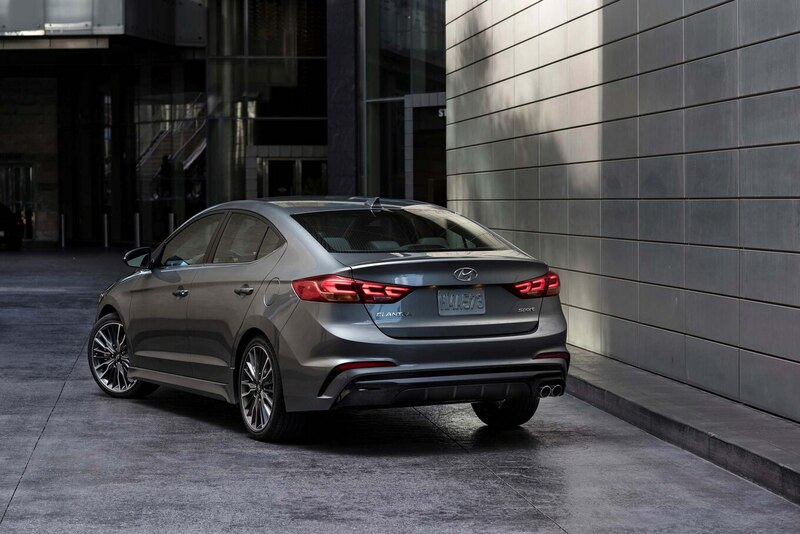 Biermann’s handiwork is evident in the 2017 Elantra Sport, which was designed from the outset to set itself apart from the rest of the Elantra family. 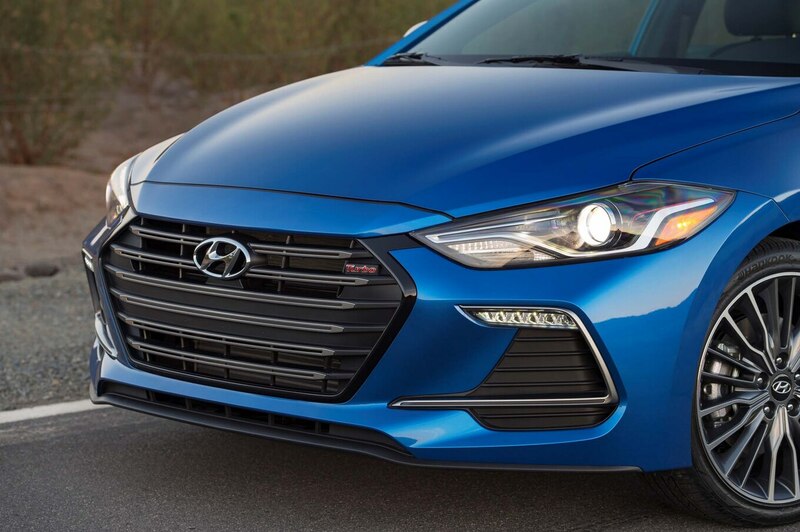 The Sport has a more aggressive face with a blacked-out hexagonal grille, standard HID headlights, and horizontally mounted LED daytime running lights. From the side, you see the deeper rocker panels, and the wheels have grown to 18 inches and wear 225/40R18 Hankook Ventus S1 Noble Ultra High Performance all-season tires. 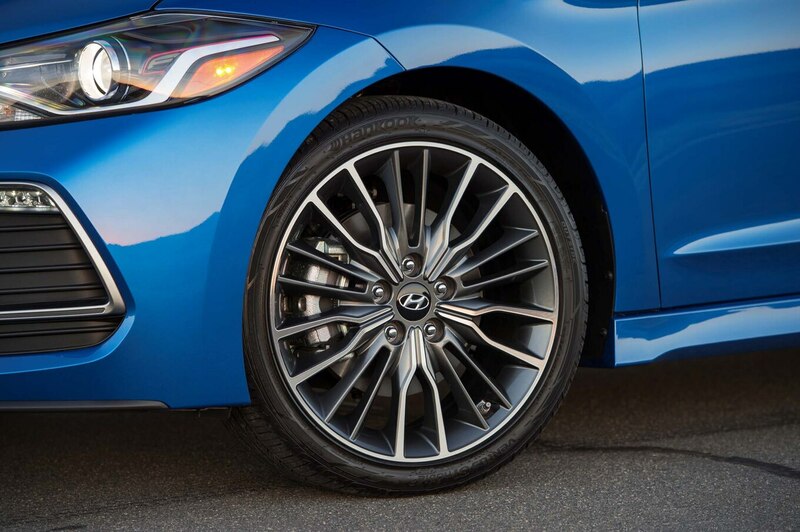 (Other models range from 15- to 17-inch wheels.) 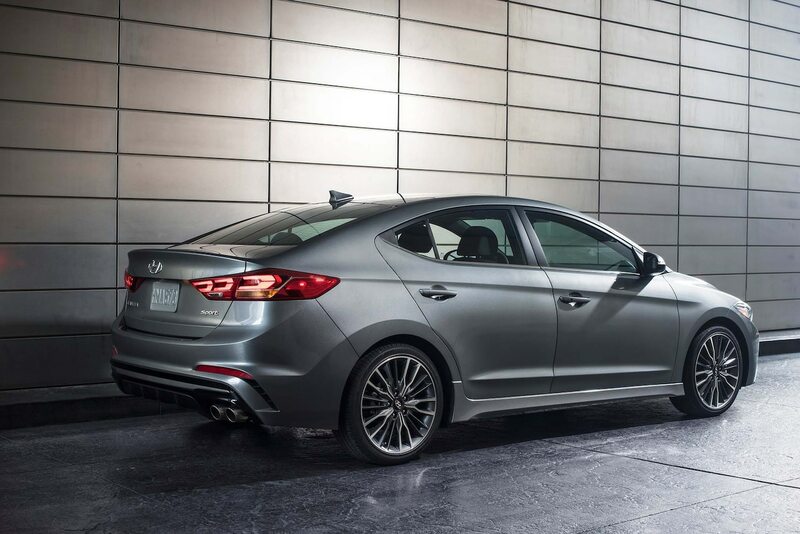 The back has a unique rear fascia, dual chrome exhaust outlets, standard LED taillights, and a rear decklid. Hop inside, and the standard interior is black. 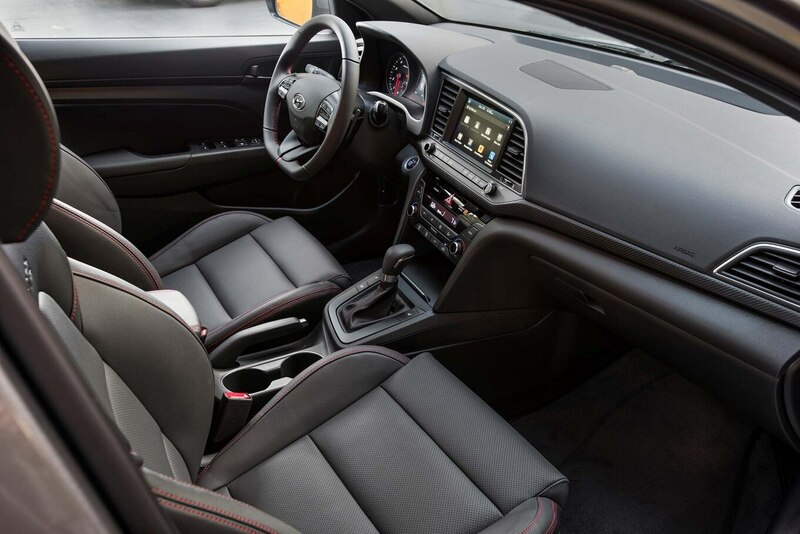 Everything, including bolstered leather seats with “Sport” embroidered in the back, a flat-bottom steering wheel, and the headliner, is black. 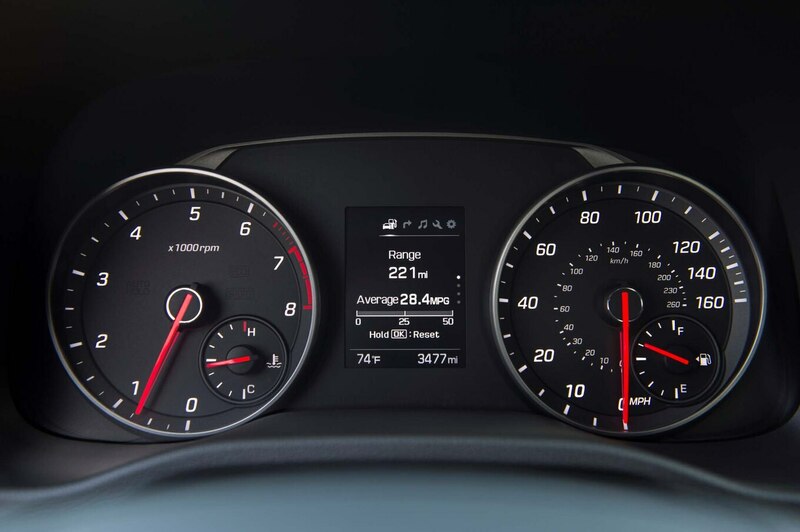 Red stitching and needles in the sport instrument cluster are the only nods to color. What really matters is whether Biermann improved the dynamics. 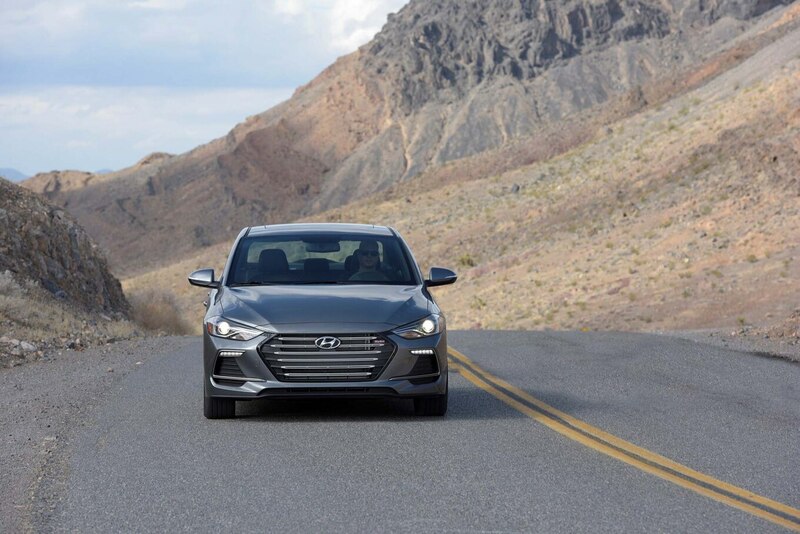 Hyundai ripped up the back end to swap out the coupled torsion beam axle for a multilink rear suspension and added a rear stabilizer bar. It has higher spring rates, stiffer damping, larger front brake rotors, and more insulation to reduce noise and vibration. 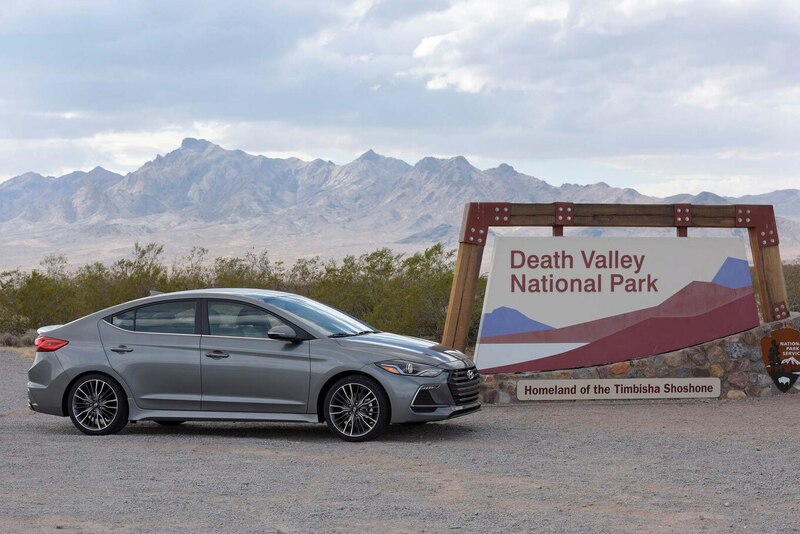 We got to test its mettle over a 280-mile drive through Death Valley with some uneven pavement, and it showcased a spirited but comfortable ride. 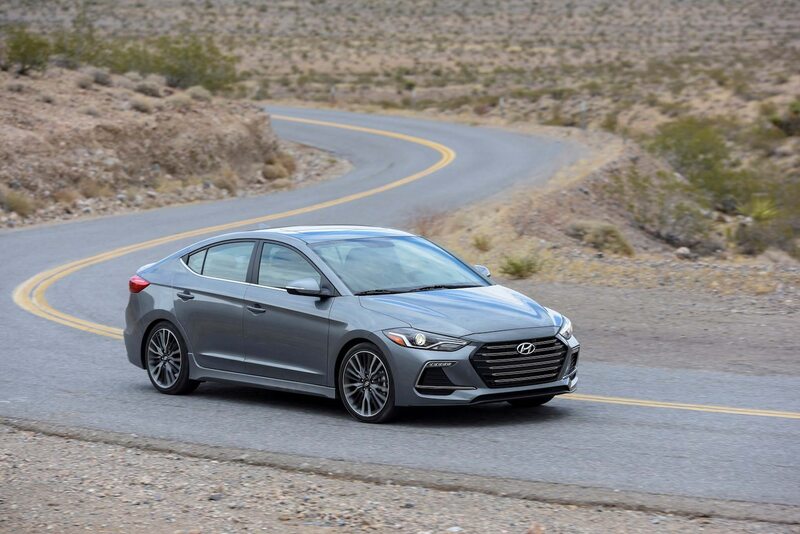 The Sport has the same 1.6-liter turbocharged four-cylinder engine that is in other vehicles, but it has a different intake than the Veloster and is tuned for more horsepower than in the Sonata. 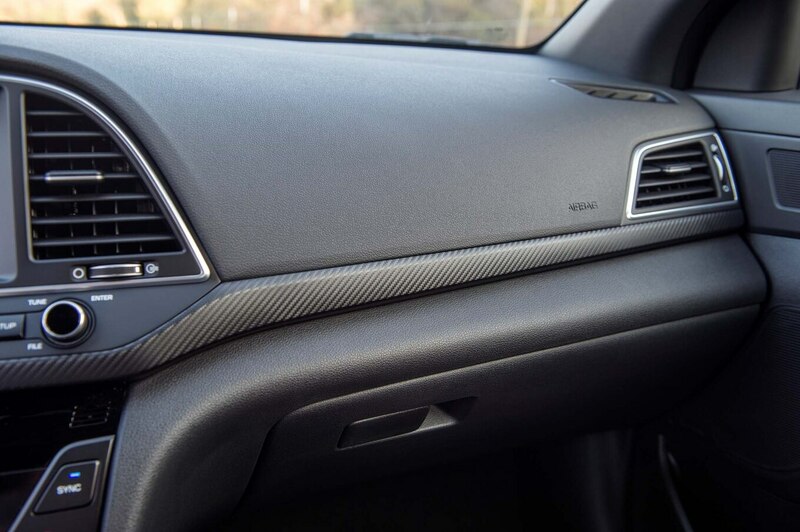 To make it sound meaner, engineers added porous material to the air intake pipe so the sound would emanate. 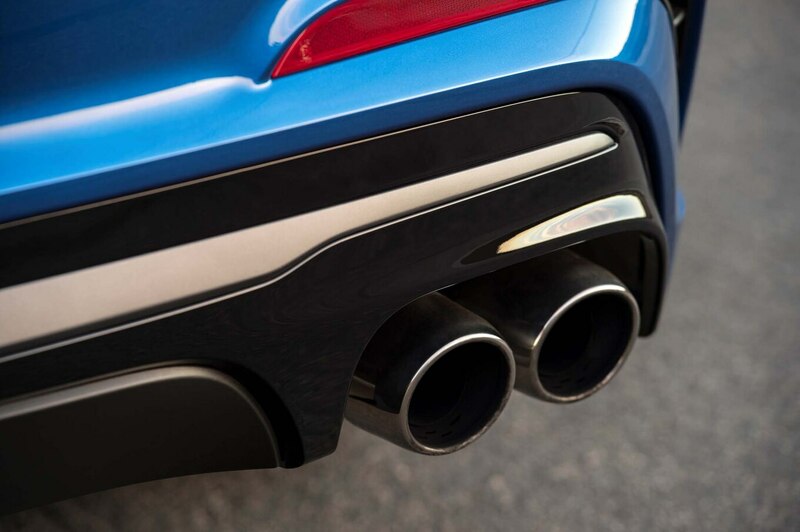 It’s enough of an exhaust note to reward the Sport buyer without being overly loud and telegraphing more power than the car delivers. 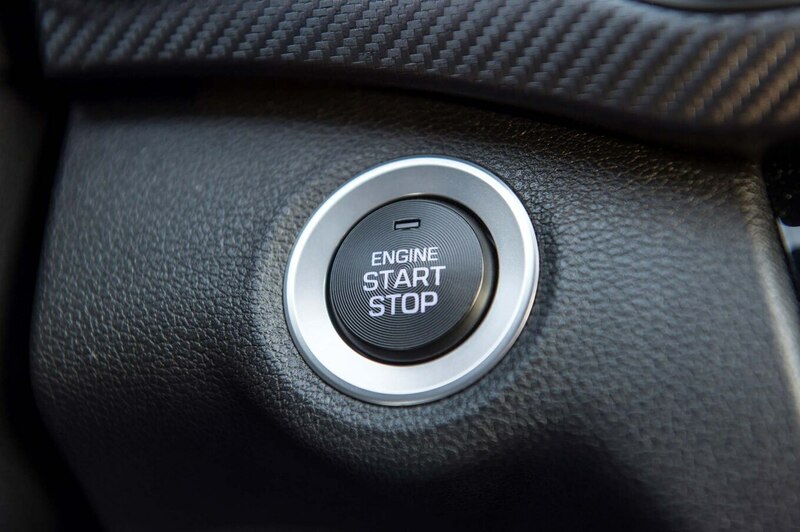 That being said, the car accelerates smoothly and drops a gear like clockwork at 100 mph to continue to gain speed to its 130-mph max. We hit 125 with confidence. The car remained calm and stable, showing no signs of skittishness at high speeds. Steering held firm but felt somewhat numb. 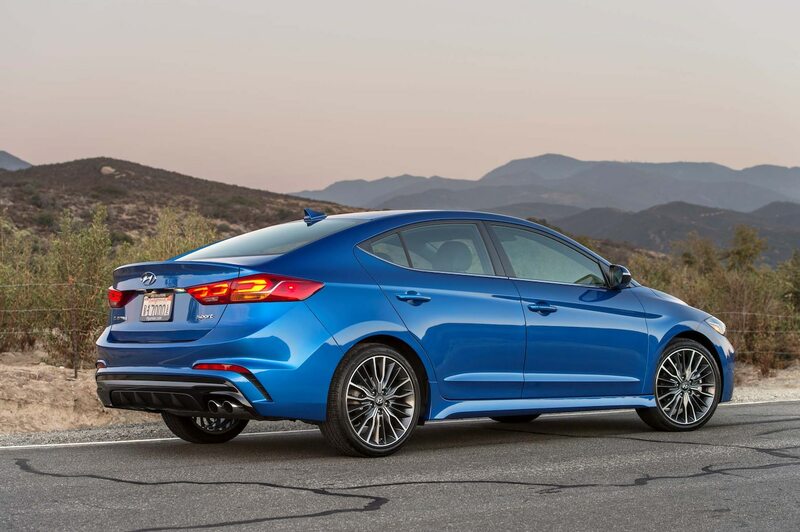 Performance specs are modest: 201 hp at 6,000 rpm and 195 lb-ft of torque at 1,500–4,500 rpm. 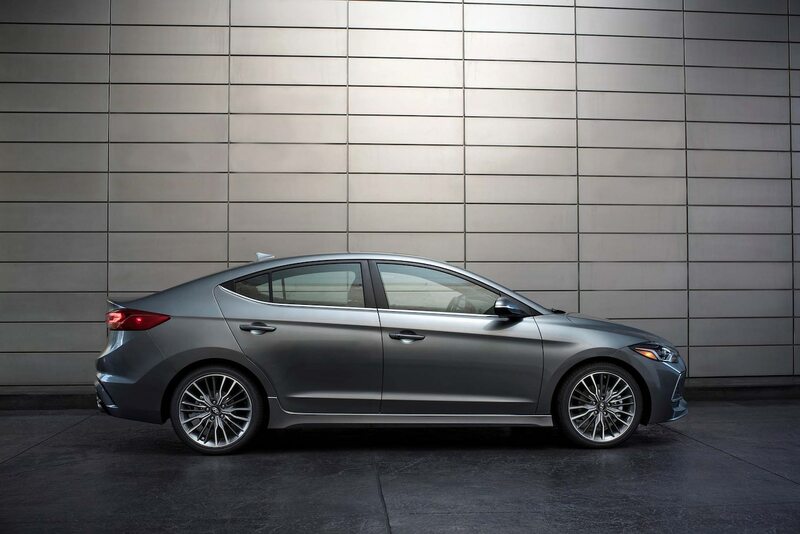 It beats the regular Elantra’s 147 hp and 132 lb-ft but doesn’t pretend to take down a Fusion Sport with 380 lb-ft of torque. Nor does it aspire to topple the VW GTI as a small performance car. 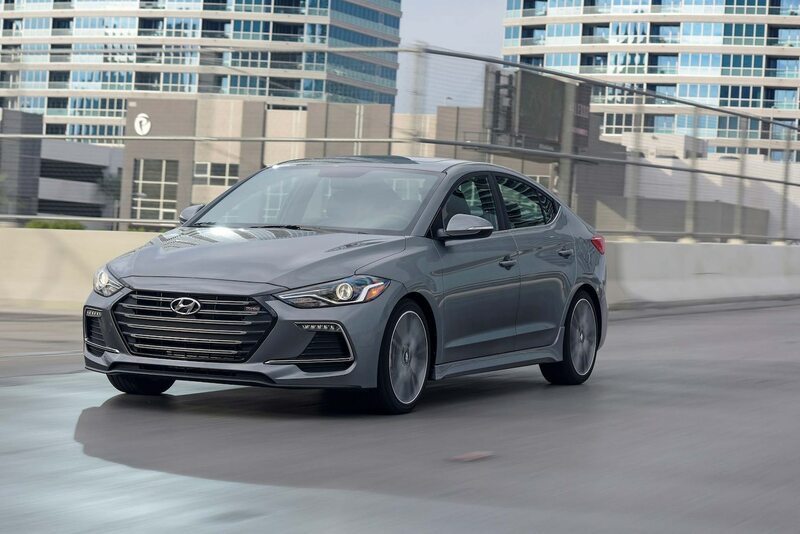 What it does is allow the Sport to hold its own unique space in the Elantra lineup and offer drivers a fun car at a modest price. 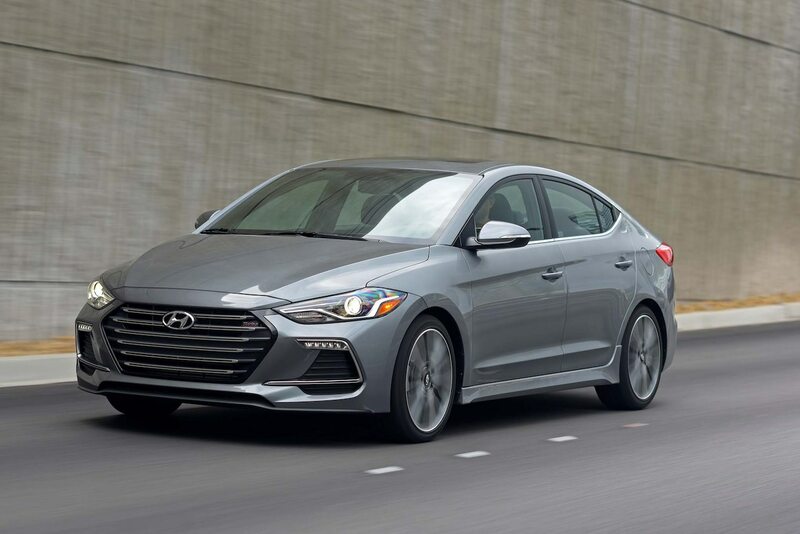 Hyundai thinks one in 10 Elantra buyers will go for the Sport, especially as there are no plans to offer a hatchback. 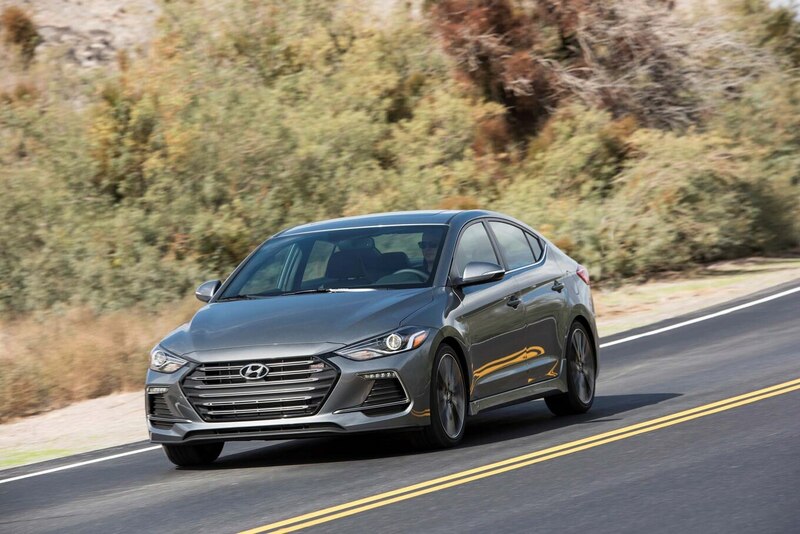 The Elantra Sport with a six-speed manual transmission starts at $22,485, and Hyundai thinks 30–40 percent of buyers will opt for the stick that shifts smoothly with a nice feel and weight. 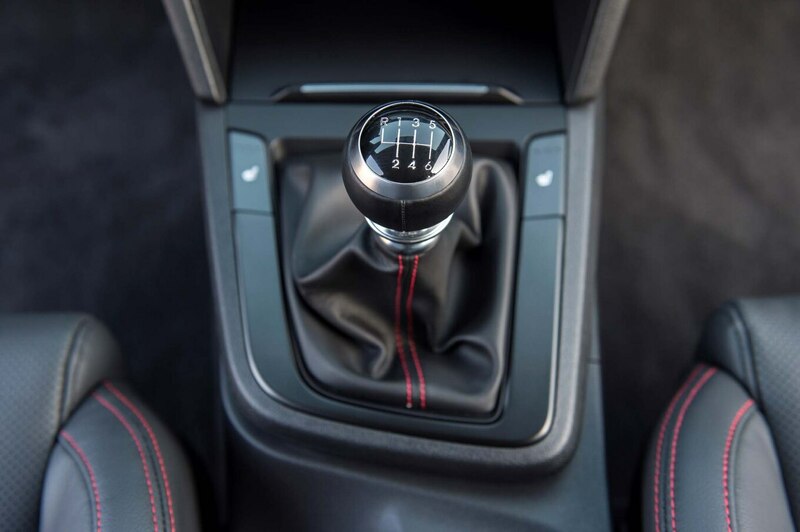 With the seven-speed dual-clutch automatic transmission and paddles, it has a starting price of $23,585. 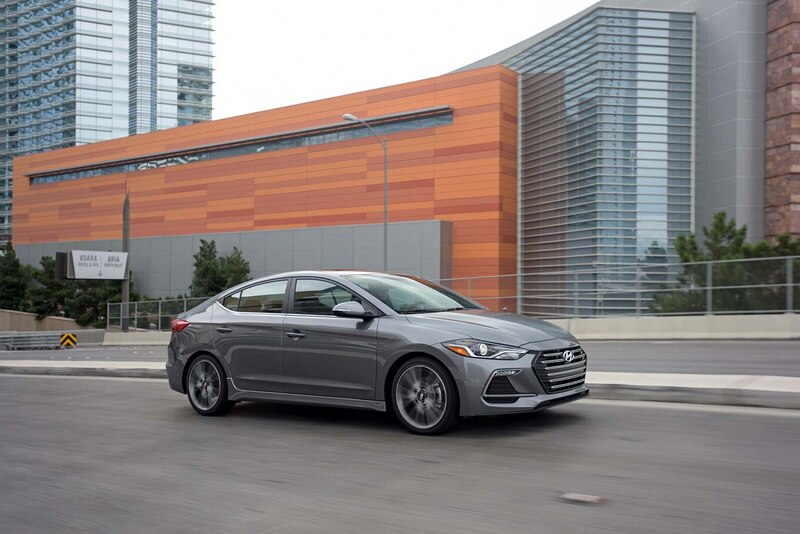 Add the $2,400 Premium package (even with the manual) to get navigation, a sunroof, an upgraded sound system, dual-zone climate control, and Hyundai’s Blue Link connected-car suite. Choice of color, transmission, and one package are the only decisions for a buyer to make. 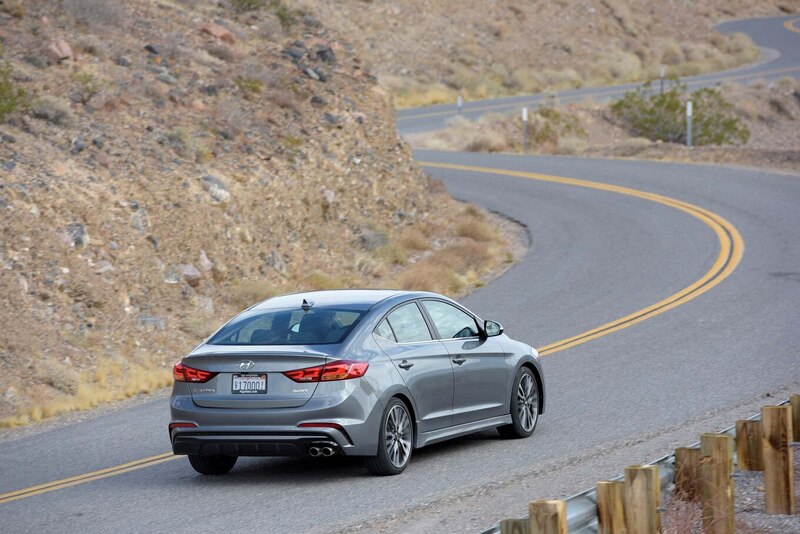 The price puts it thousands of dollars below a Volkswagen Jetta GLI. 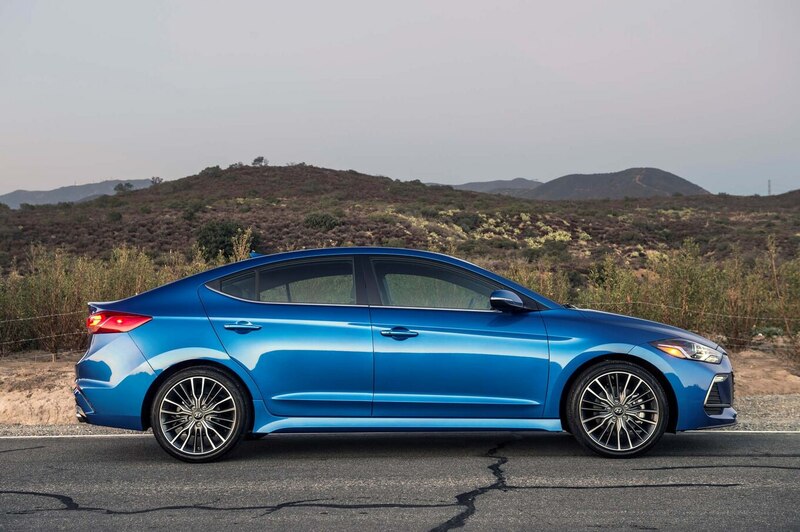 The Sport also competes against the outgoing Honda Civic Si and the Nissan Sentra SR Turbo. 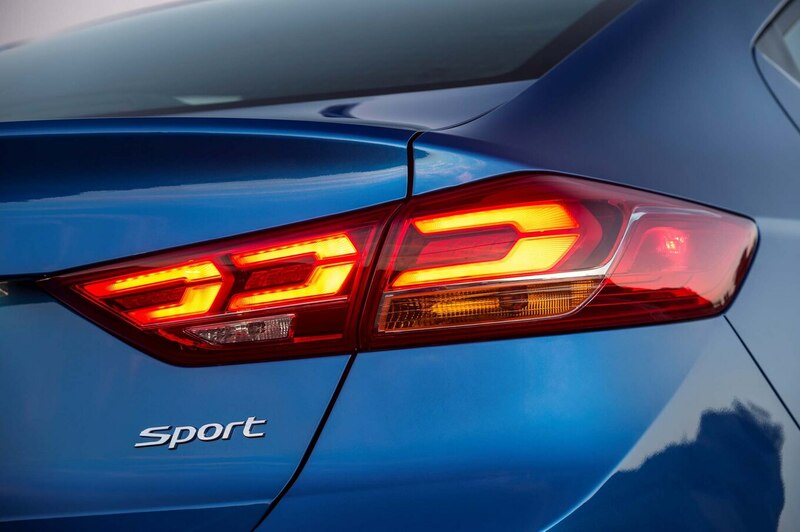 The Sport whets the appetite for Hyundai N vehicles still to come. 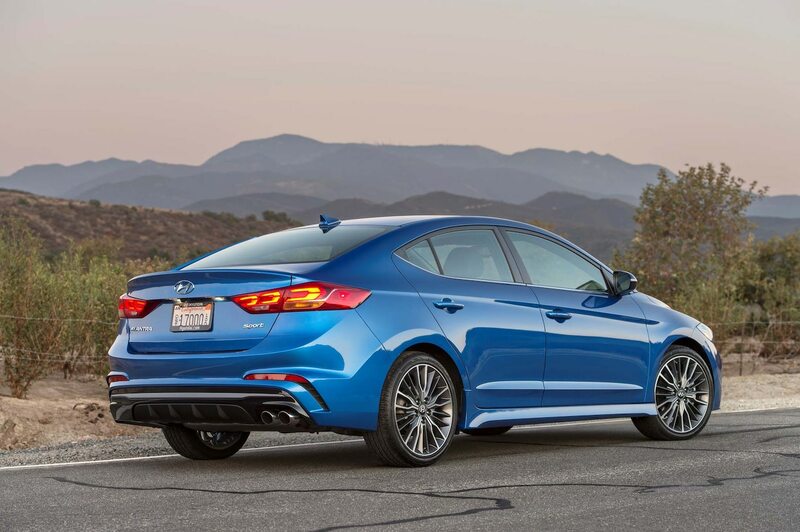 Against its modest goals along this path to greater performance, this Elantra scores well.